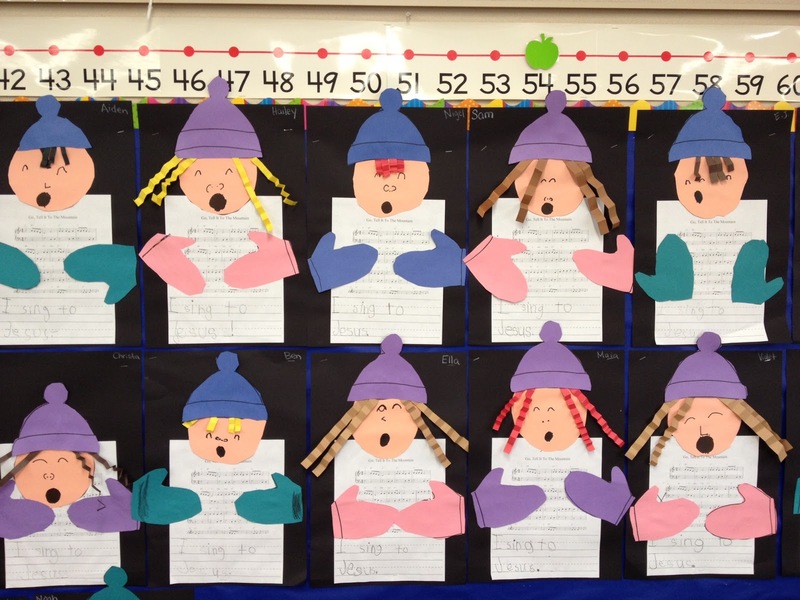 I found this adorable caroler idea on Pinterest. Our class sang "Go Tell it on the Mountain" for our Christmas Program (which was adorable, by the way!!) so we discussed the meaning of singing songs to Jesus during Christmas time. 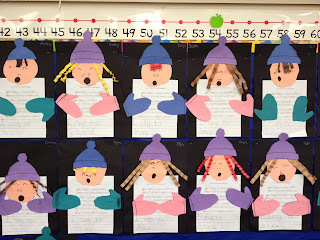 Each child got to choose the color he/she wanted for the mittens and hat, and we chose the same color paper to match each student's hair color. This might be my favorite project yet. Of course, we added a sentence to tie it all into our writing standards.